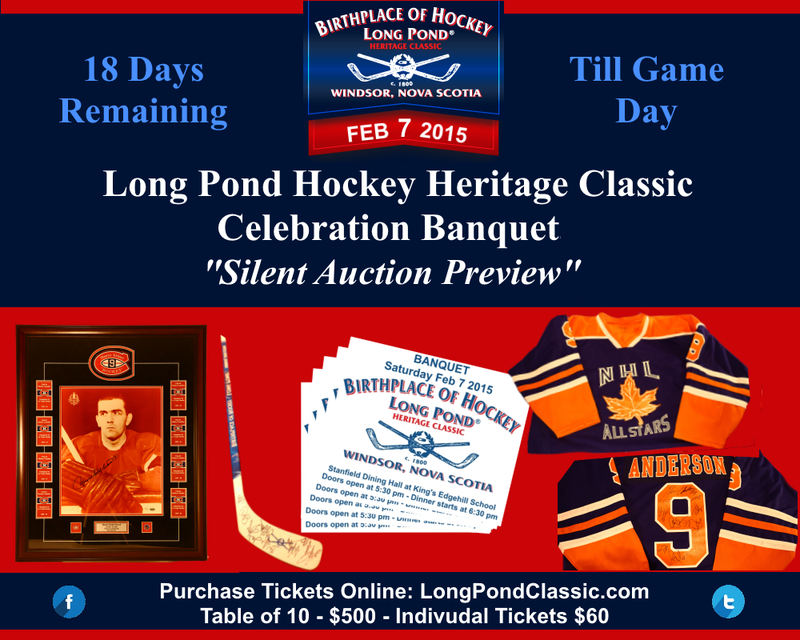 The Long Pond Heritage Hockey Classic is gearing up for its annual fund raising event of hockey on Long Pond, Hot Stove and celebrity banquet. 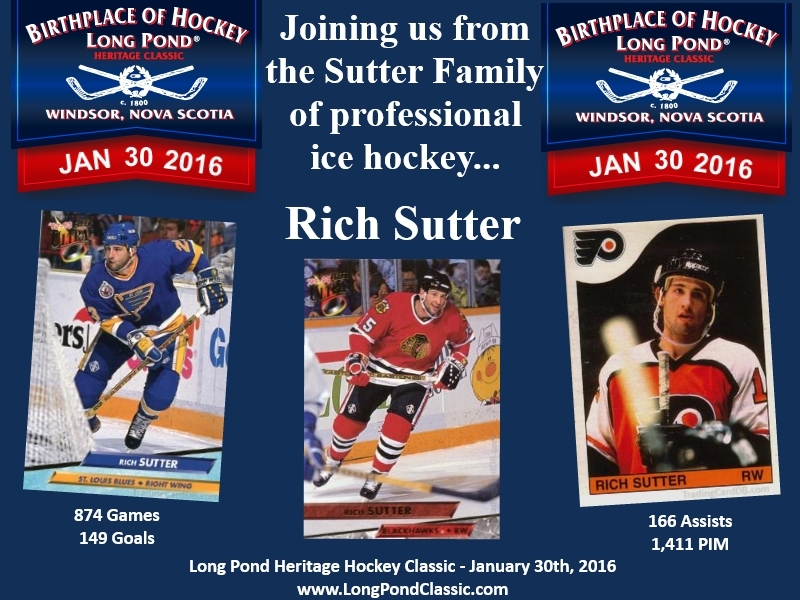 This year’s event is scheduled for January 30th and promises to be another event that you don’t want to miss. 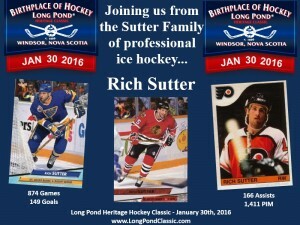 David Hunter, chairperson of the organizing committee and President of the Windsor Hockey Heritage Society commented, “The committee has been working hard the last few months in sorting out details and making plans for the upcoming event. The front-end of events like this always involves more work than most people know but its critical to ensuring the success of the plans you are making”. This year’s event is the 5th since it began in 2012. 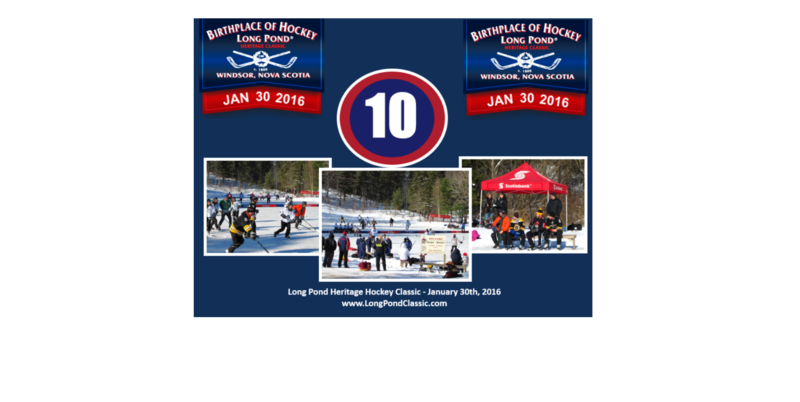 The organizers put on a day of hockey on Long Pond with teams and individual players registering to play. 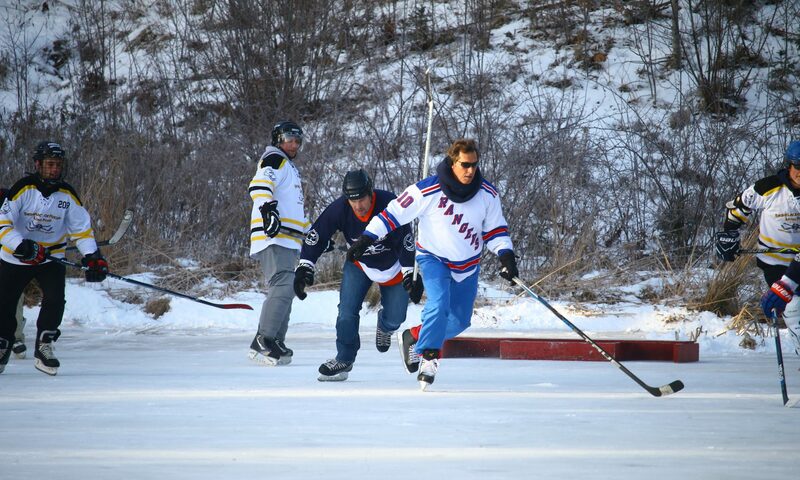 The day’s events on the ice are followed by a celebratory dinner banquet in relaxed fashion with professional players providing Hot Stove hockey talk throughout the evening. 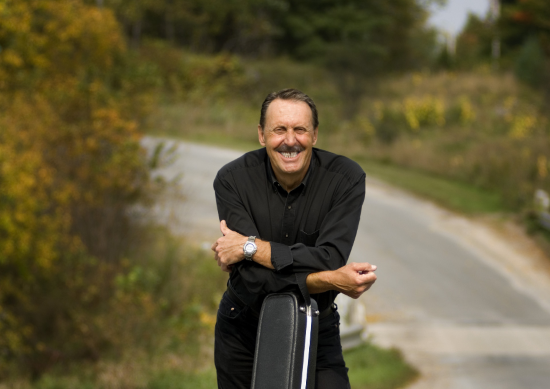 As part of the fund raising a silent and bidding auction has typically been held. In looking forward to this year’s event Mr. Hunter closed by saying, “this year we are expecting the event to be a “10” in more ways than one”. When asked for further information he simply added “Details will follow”. 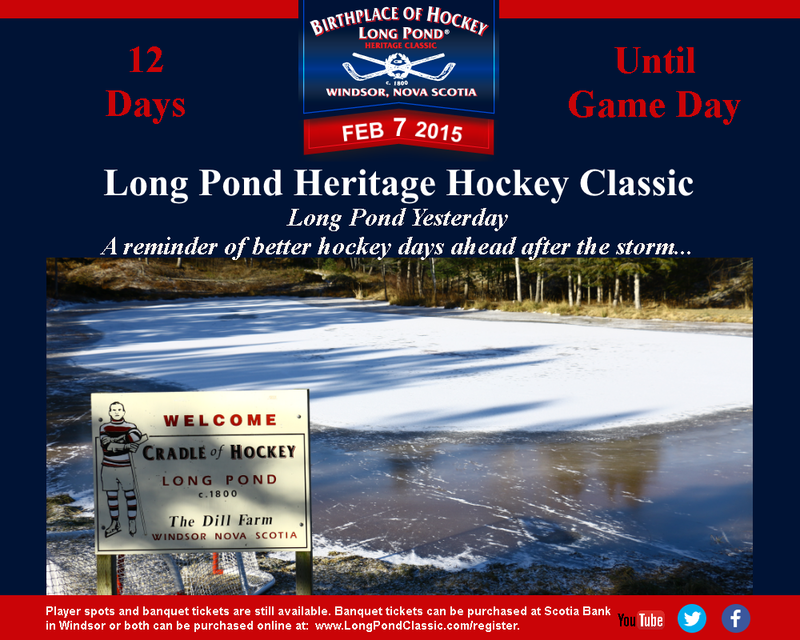 The organizing committee for the Long Pond Heritage Classic has etched its date in the ice for its 2016 event – Feb 16th. In a meeting held after the event to review this years activities and begin planning of next year the date was decided. 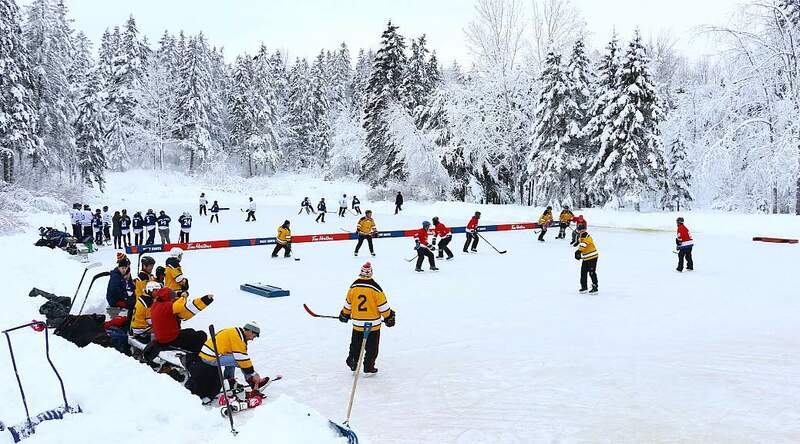 The original plan for Saturday’s games was for the 3 high school girls teams to play within their division and for the 4 mens teams to play in theirs.It turned our the ladies wanted to beat the mens teams. How can you say “no” to that? You can’t. 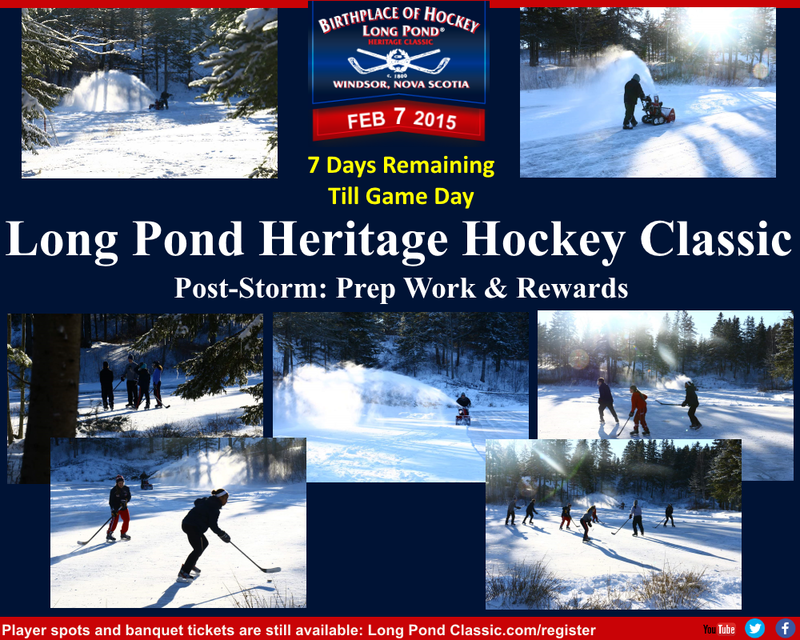 As a result an updated schedule was created with great games of hockey prevailing once again. It was a tremendous experience for everyone on the ice, around the ice and at the banquet afterwards. We believe the fun that resulted can be seen on all of their faces – and we hope you agree! 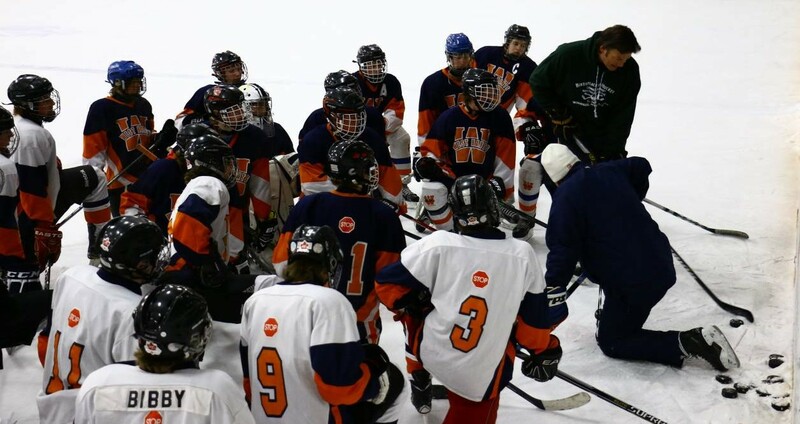 On Sunday morning following the Long Pond Classic event the players from the Windsor West-Hants Midget A and Bantam AA teams subscribed to a players clinic with Glenn Anderson and Mike Krushelnyski . They were provided with an amazing workout of skills and technique development for upping their games and it was a pleasure to watch. Although this is only a fraction of the photos from the 2 hour session, it hopefully highlights some of the development work that was undertaken. 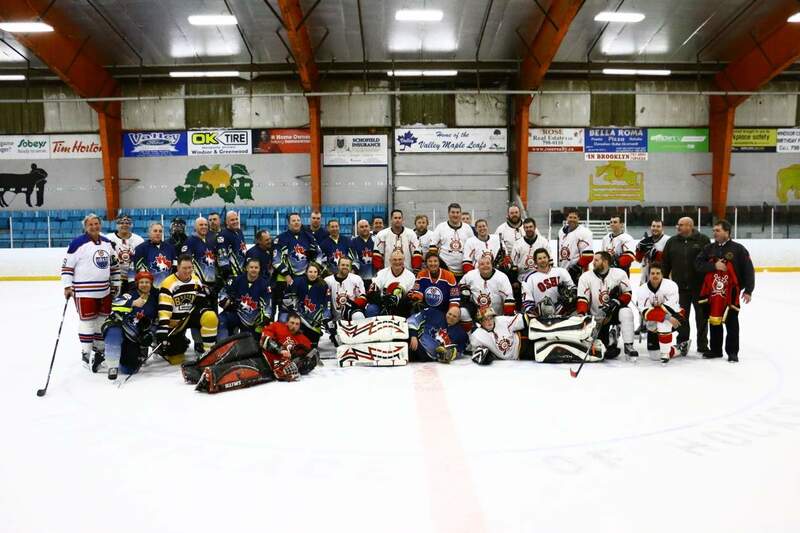 On Friday night the re-match was played between the local RCMP and the fire departments of Windsor and Hantsport. 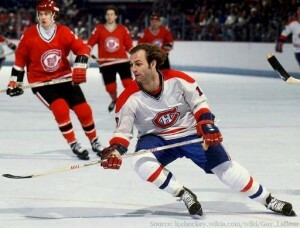 The draft held earlier in the day aligned Glenn Anderson and Robert Sweeney with the Fire Department, while Mike Krushelnyski and Dennis Vial played for the RCMP. It was an exciting, fun-filled and high scoring match with the Windsor and Hantsport Fire Departments as the eventual winners of this game. 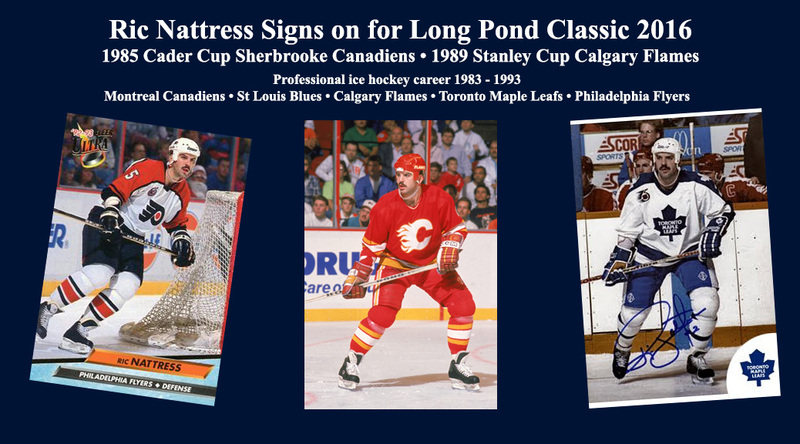 New Boundaries and the Long Pond Classic are very appreciative of the Legends All-Stars Hockey Events for their support and involvement in this event. 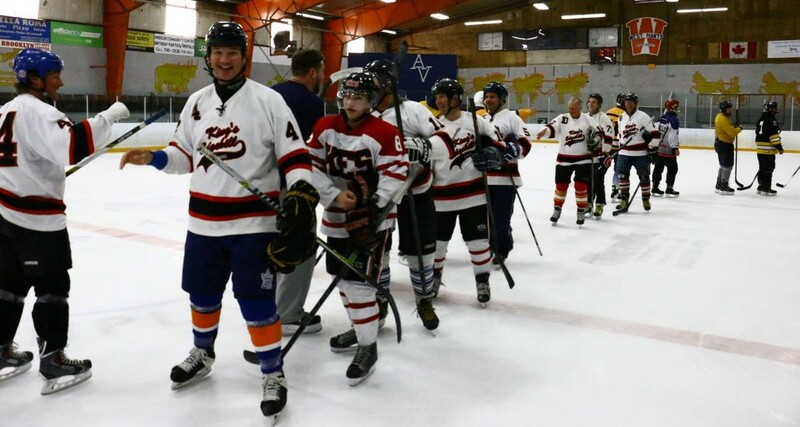 With the weekend of hockey approaching the celebrity players from “Legends All Stars Hockey Events” made a stop at Canada’s Hockey Bank – Scotiabank. 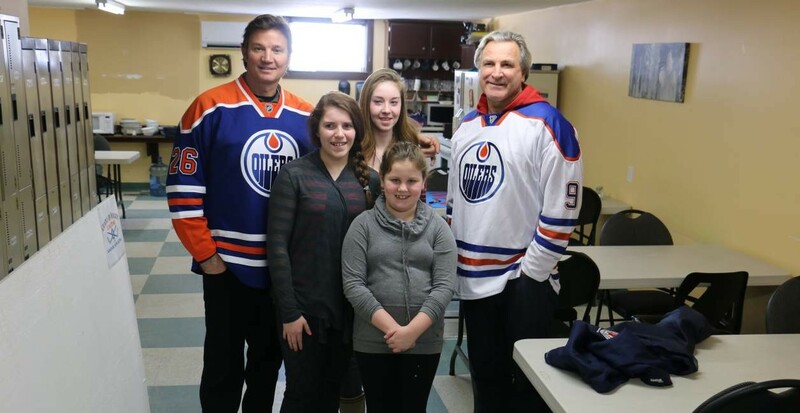 With the pending Friday night charity game as a fund raiser for New Boundaries, Mike Krushelnyski and Glenn Anderson from “Legends All-Stars Hockey Events” took time to visit with the group. Due to the of the previous day’s storm, it was a snow-day for the clients. Staff and family on hand were however excited to visit with them and provide an overview of the groups mission and purpose while touring its operation which was greatly appreciated. 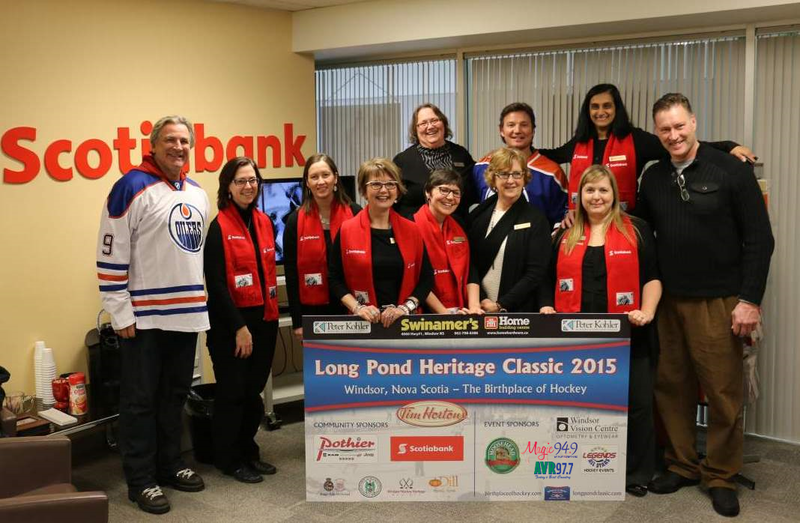 On Friday afternoon, when traveling to the Windsor Vision Centre we saw two professionals as part of “Legends All-Stars Hockey Events” in Glenn Anderson and Mike Krushelnyski – thoroughly enjoying meeting and interacting with all the clients and staff in the office… — at Windsor Vision Centre. The Draft: RCMP vs Windsor & Hantsport Fire Depts. 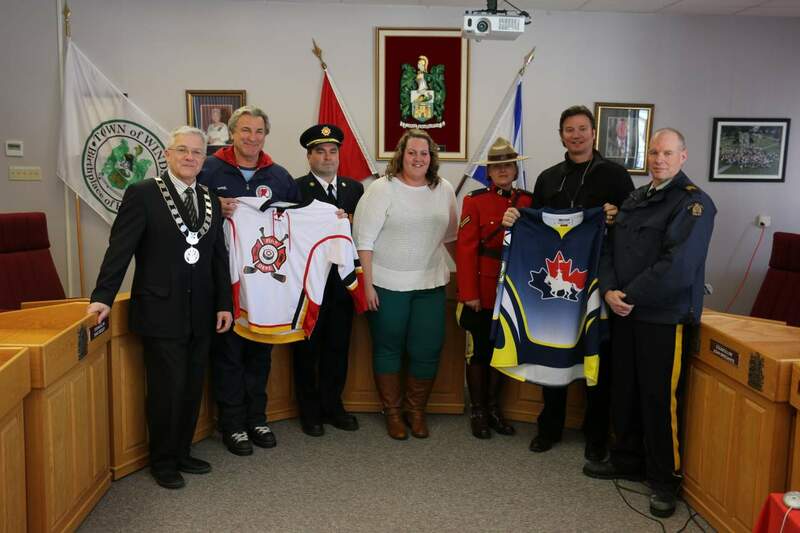 The Long Pond Classic has been privileged to share in the fun and excitement of the New Boundaries charity game involving the RCMP vs the Windsor & Hantsport Fire Depts. This year a ‘draft’ was held in Windsor’s council chambers to select the celebrity players from “Legends All-Stars Hockey Events” for each team. With so many Stanley Cup rings in the room, the draw from the hat for choice of players was the ceremonial beginning of the weekend of fun. 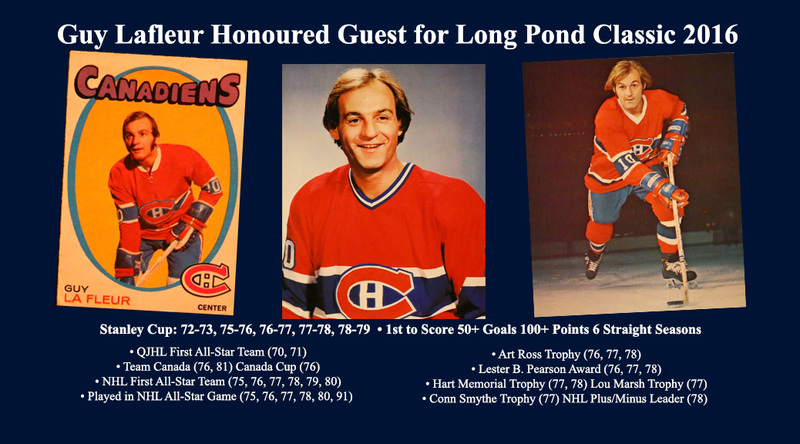 The Hants Journal has reported that Wayne Rostad will host the upcoming Long Pond Classic in Windsor Nova Scotia, the Birthplace of Hockey. 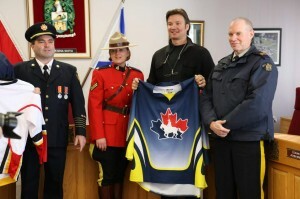 He is identified in the story as “a man who charmed Canadian audiences from coast to coast for two decades as the host of a popular television series”.